We make you stylish, unique and empower your performance ! In a small basement in Farum, an ex-soccer players had an idea. While playing on the highest level, he realized that gear and merchandise needed something – style and quality. When visiting fan shops, he was often disappointed in the imagination from the producers. From here they decided to create something unique – Maikai Copenhagen was born. He set off to create a brand that bridged the gap between players and fans. Something that they both would use every day, and that showed affiliation to a specific game, team or style. Taking inspiration from the biggest sports brands in the world, the painstaking design and development process started. The first idea came from watching a CS tournament on web tv. The players arrived on stage but didn’t quite look like a team. Though in matching outfits, something lacked – looking fierce and professional. The teams carried their gear into the arena in different bags and trolleys. The footballer remembered how it had made him feel to travel with matching and customized bags. Going through the airport or coming of the bus, their unity made them feel stronger. Maikaí decided to bring this element into the gaming world, that is quickly going from kids with a computer, to a professional industry with real athletes. To be a team shows strength, to be unique as a player demands respect. MaiKai Copenhagen is a Danish based production and design company dedicated to producing high-end products for the gamers and their fans. The existing merchandise today is great, but we feel it can be even better! We have spent the last 24 months with R&D, talking to gamers, team owners, retailers and have completed our first series of products from players to the players. We continuously work closely with pro players to ensure that all products released from Maika’i Copenhagen have been through the scrutiny of serious gamers, so we always release products that have been tested and refined until we reach perfection. MaiKai products are available all over the world, and we seek to be the brand every gamer must have to compete on all levels. We are very proud of our product line that we feel is unique and stylish at the same time. We can´t wait to enter the world of gaming and change gamers everyday life! With a passion to develop new products and cooperating with industry leaders, we use all our time to see how we can put our mark on the gaming world. Players are serious athletes now, and the demands from sponsors, team owners and fans are rapidly growing. Therefore, we aim to deliver products that satisfies everyone who loves to play and compete. We listen to the people involved and have a clear mission: designing products that makes YOU as a gamer able to focus on the one thing that really matters, PLAYING. 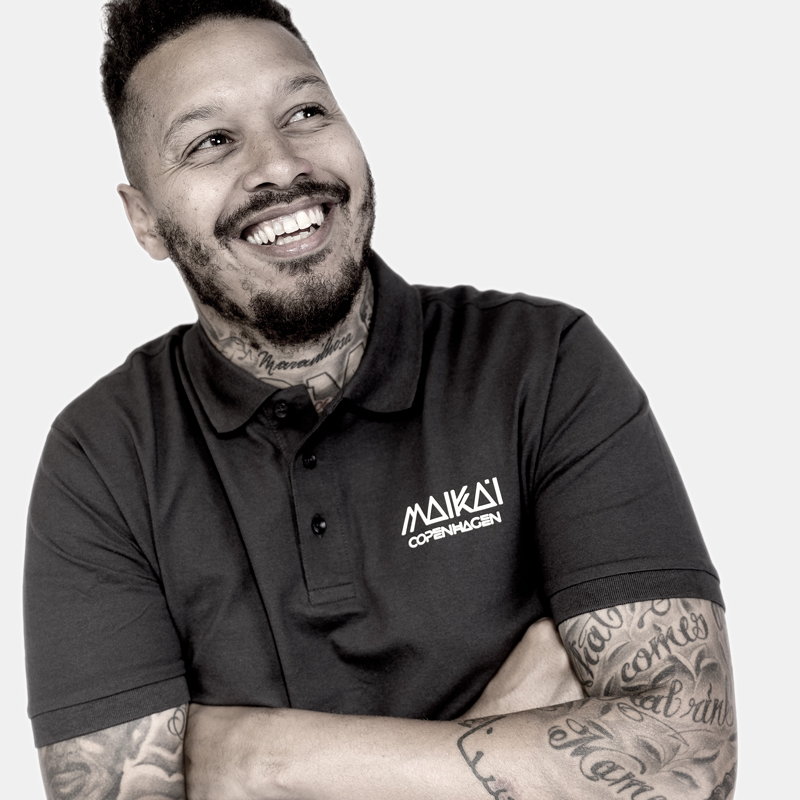 The founder of MaiKai Copenhagen is a retired soccer player that has played on the top level. This gives him a unique insight in the world of performing on the top level all the time. Frequent travels, and the need to always be rested and ready upon arrival, are integral elements of performing at your best every time you compete. These learnings are what we seek to bring into the world of gaming. With a network of clubs and businessmen all over the world, the reach of MaiKai Copenhagen is vast. We will be launching cooperation and joint ventures with brands, people and influencers from all over the world to bring our products closer to you. Sebastian has a long career in football, where he has traveled the world and been in some of the greatest clubs there is. Sebastian leads the design efforts regarding new products and oversees R&D when new products start taking form. Finding the perfect designs, materials, producers and brands, is something Sebastian knows everything about. He is always creating new stuff, and has a god given talent to know what consumers want. Sebastian loves music and always smiles. Thomas is the CEO that lays down the overall strategy for the company to follow. Growth, partnerships and contracts are his specialty. In negotiations he is both direct and kind depending on what the situation requires. 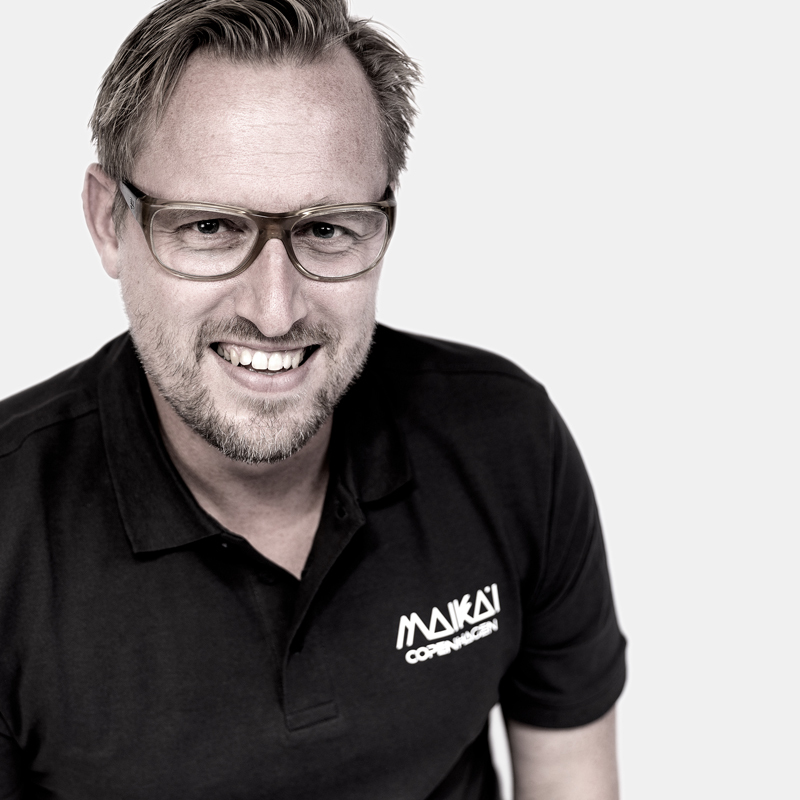 Striking the right deal at the right time, is the reason Maika’i Copenhagen has been able to grow this rapidly with the right people in the organization. Thomas loves good food and company. Micas is Maika’i Copenhagen’s in-house photographer. He is in charge of taking product pack shots, environmental, head shots etc. Micas is also always with the Maika’i team at events, happenings and other occasions to document the efforts. Micas loves shoes and designer clothes, and is always dressed in the newest collections. 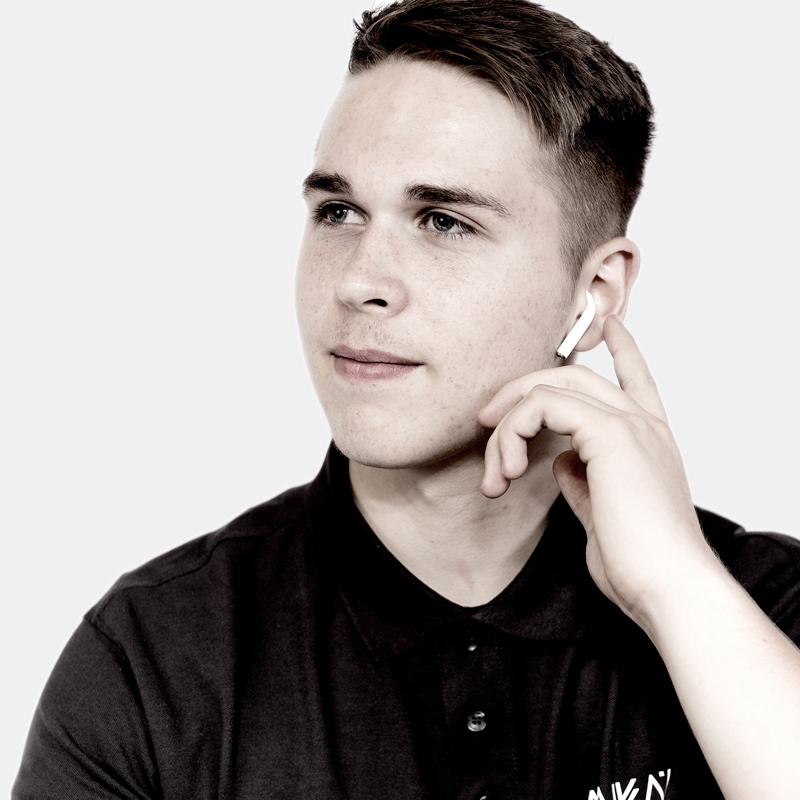 Jakob is our lead digital designer. He has created our brand bible from scratch, and continuously develops our thumbprint as a brand. 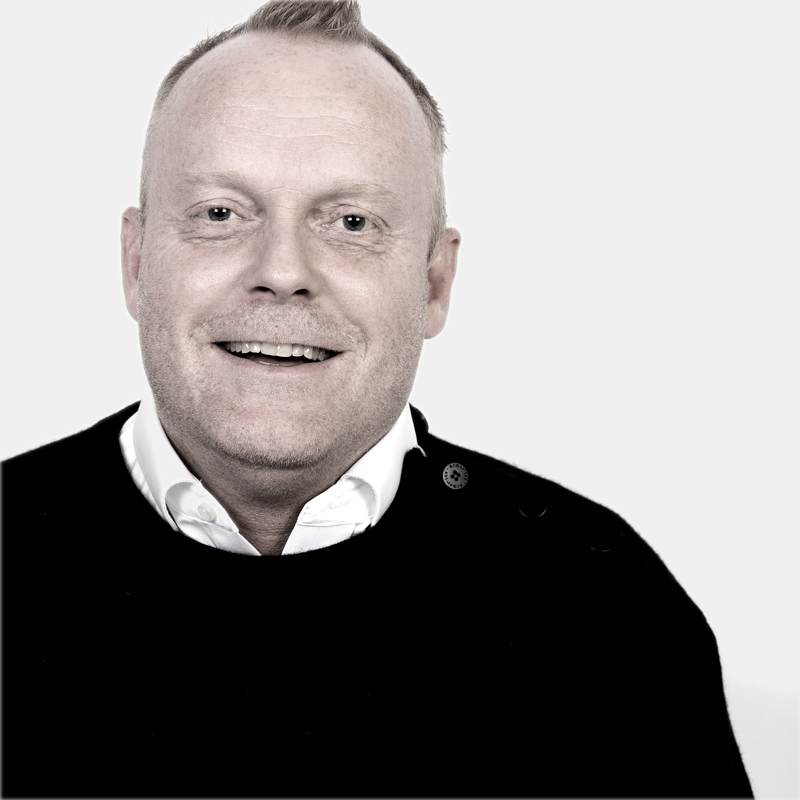 He works with our digital designs and visuals, but also on our off-line productions. Jakob also assists in the creation of visuals for our SoMe efforts and is always involved in our brainstorming regarding new ideas. He is extremely creative and brings new inspiration to the table. Jakob loves the Pantone color 111 and liquorish candy bar. 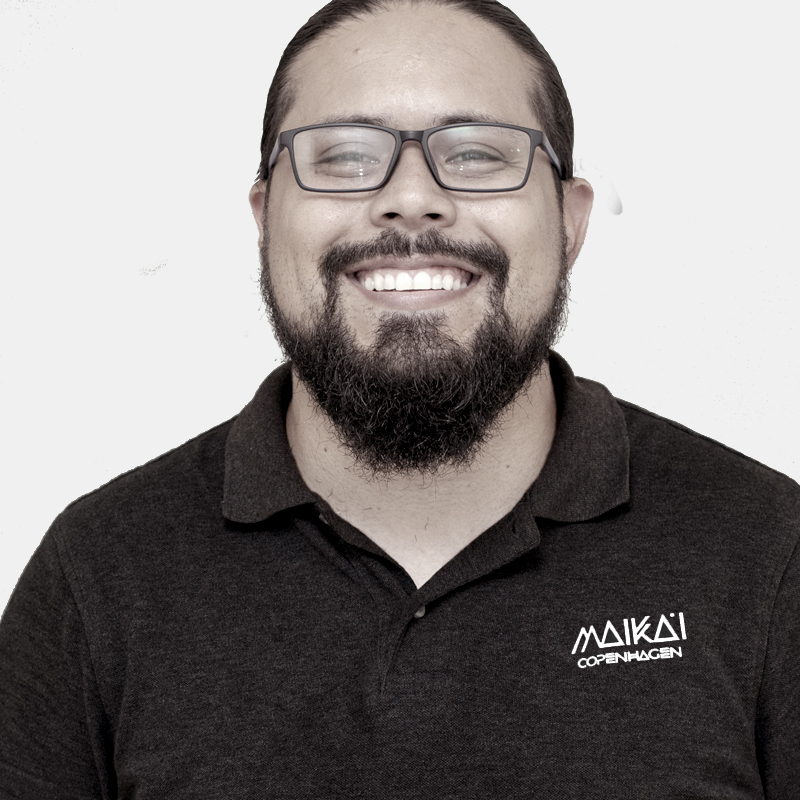 Living in Venezuela, Aaron is in charge of all 3d design and renderings from Maika’i Copenhagen. Aaron works as a mechanical engineer. He also teaches at a university in Venezuela. Aaron is an integral part of documenting designs and prototypes, before they go into production. From here, he makes sure that the visualizations of all the Maika’i products do them justice. Aaron loves rock&roll and coffee.